Brand consulting firm CoreBrand was interested in uncovering the companies who are building respect most successfully. 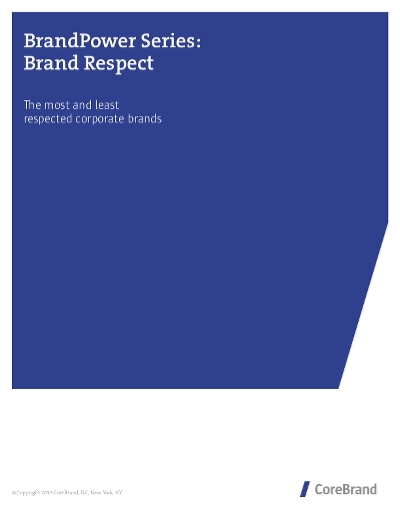 They took a fresh look at the research data from the Corporate Branding Index and examined the trends they found in brand respect. Those with the highest Favorability among the top well-known are regarded as the most respected brands.